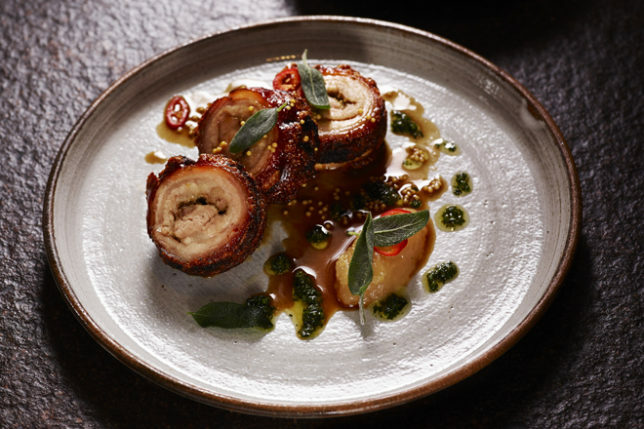 Oblix, located on the 32nd floor of The Shard, has created a new Sunday Roast menu that elevates the beloved British classic by offering decadent dishes including suckling pig, chicken with truffle, rib of beef and rotisserie duck with all the trimmings. The Oblix Sunday Roast is perfectly placed for those seeking the ultimate Sunday afternoon dining experience. 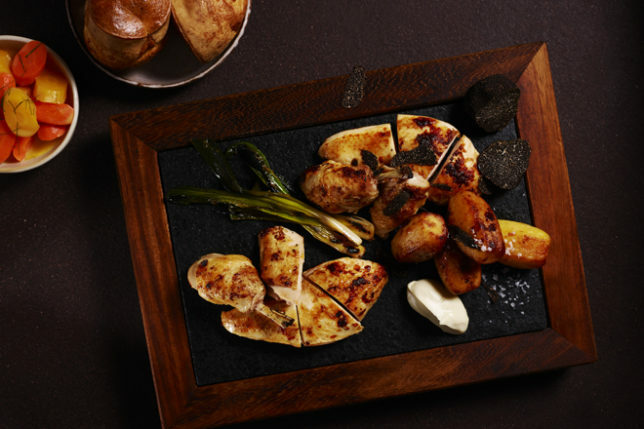 With succulent meats cooked slowly across Oblix’s signature josper oven, charcoal grill and rotisserie, all roasts will be accompanied by a selection of traditional side dishes in Oblix’s signature style. 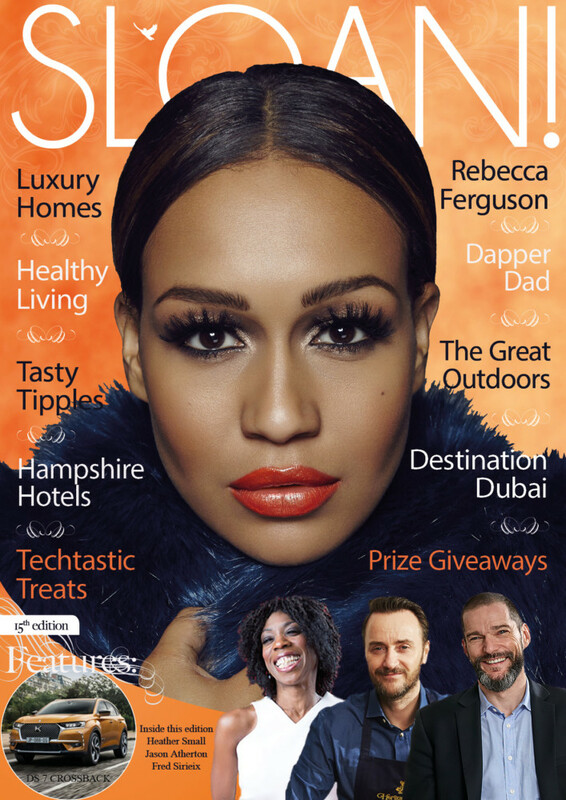 Guests will be invited to choose from beef-fat roast potatoes or horseradish mashed potatoes with spring onion & chives completed by Oblix’s unique twist on a Yorkshire pudding. 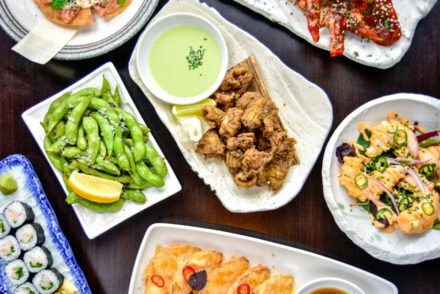 Alongside succulent meats and tasty potatoes and Yorkshire pudding, the roasts are accompanied by a selection of roasted vegetables which are not to be missed, including creamed spinach & gruyere; butter roasted cauliflower served with garlic; and crispy capers married together with a generous helping of rich gravy. 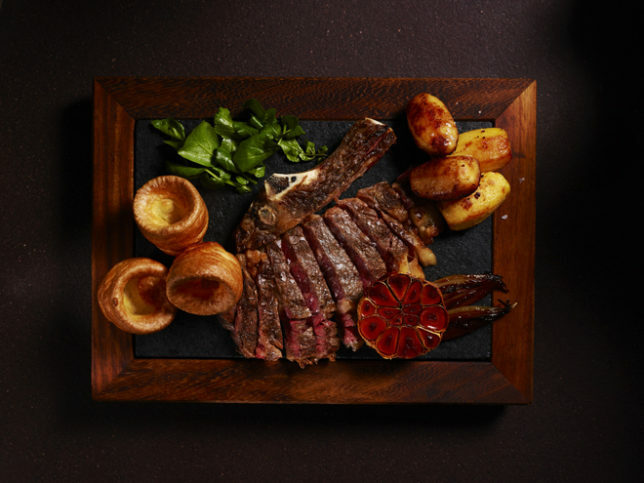 In creating a luxurious Sunday Roast, Oblix provides guests the chance to enjoy exceptional ingredients in a sophisticated setting. 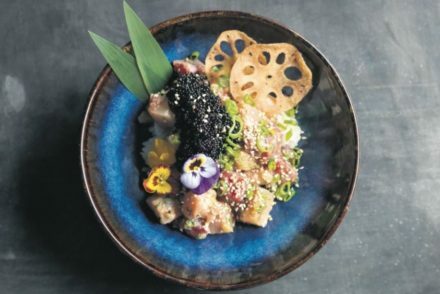 Upon arrival, guests walk through the open kitchen and can enjoy watching the roast dishes being prepared and cooked by Oblix’s creative kitchen team of talented chefs. 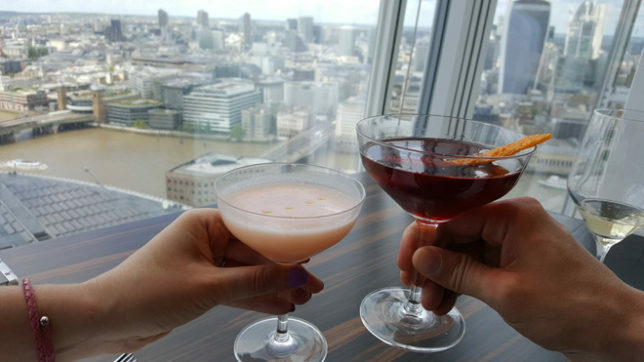 We began our sky high sunday roast with some delicious drinks to toast the occasion. 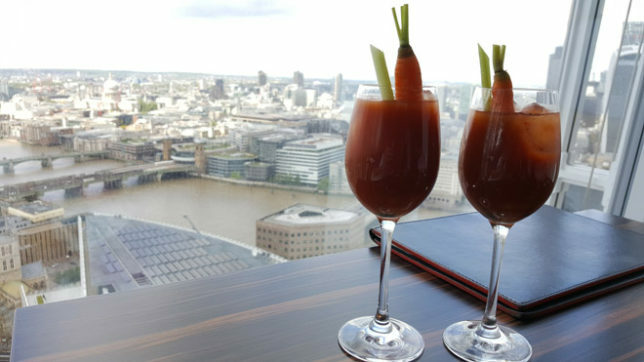 We were also served the Oblix Bloody Mary to enjoy with the start of the meal while we enjoyed the stunning view from Level 32 of The Shard. 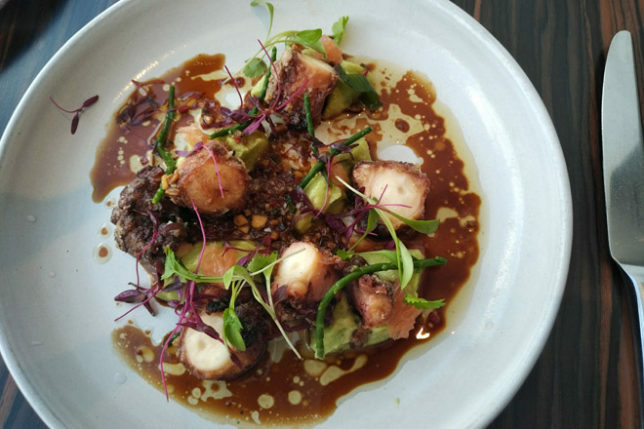 To start my lady ordered one of her favourite starters – octopus – at Oblix its fried and served with avocado and coriander. 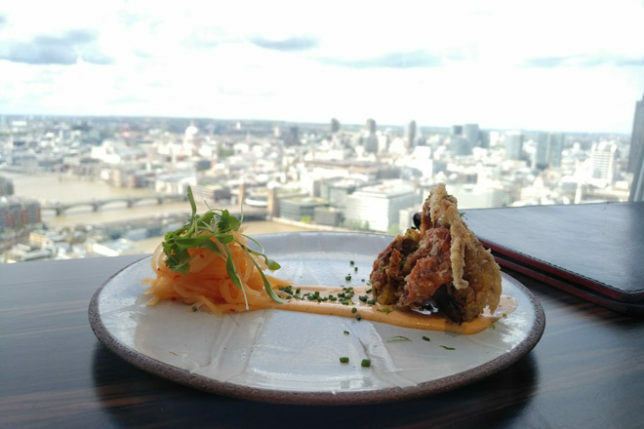 I chose the delicious soft shell crab with chilli mayonaisse for a spicy kick. 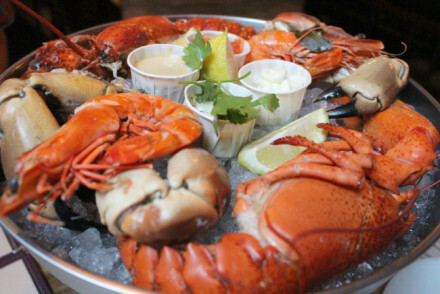 Main courses were presented beautifully at the table. I chose the Cornish Lamb Shank with wild garlic and rosemary paired with a delicious bordeaux from Château Chasse-Spleen. 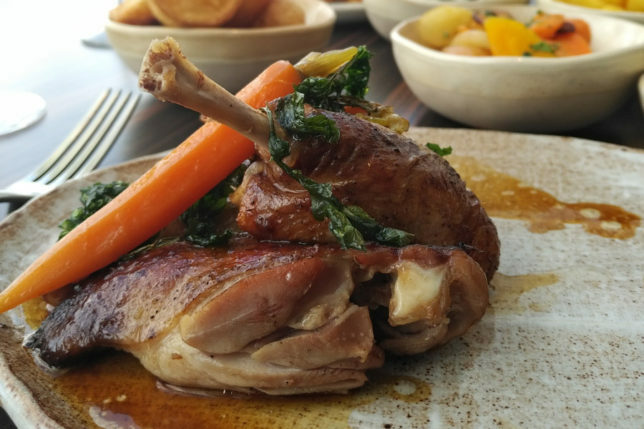 My lady chose the Rotisserie Duck flavoured with honey and clove. 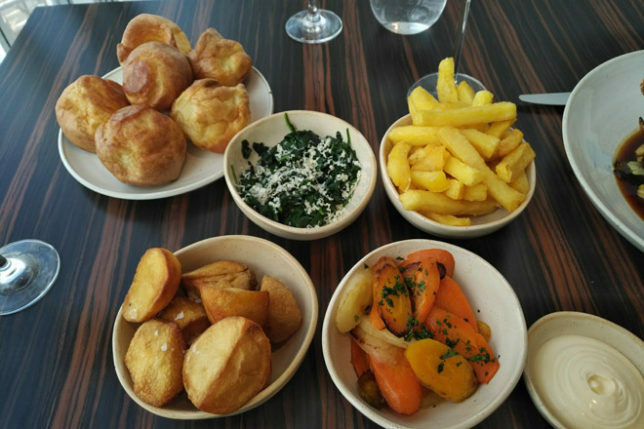 Sides included hand cut chips, roasted beef fat potatoes, buttered spinach with gruyere and heritage carrots with ginger and maple syrup – not forgetting the delicious Oblix Yorkshire puddings. To finish, dessert was Pecan Nut & Chocolate Bar served with crunchy bourbon ice cream and a tasty Taylor’s 20 Year Old Tawny. 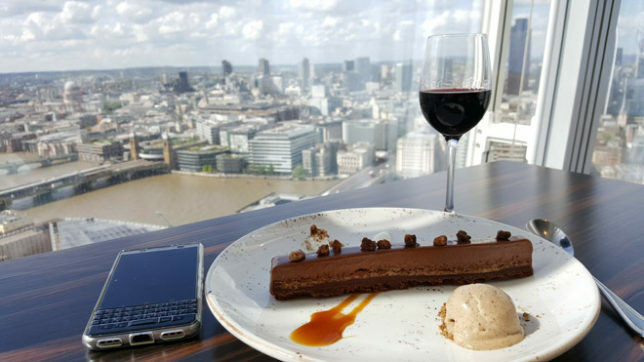 Check out the stunning view of this beautiful dessert pairing complemented by my new smartphone – the awesome BlackBerry KEYone. 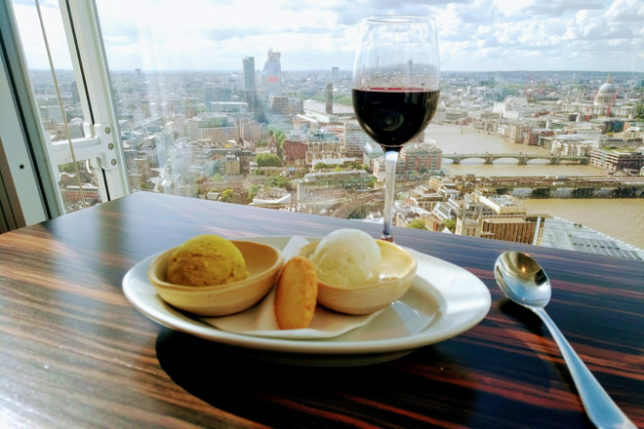 My lady had a less indulgent choice of the restaurant’s “ice cream & sorbet parlour”. She chose coconut & lime alongside basil & passion fruit. 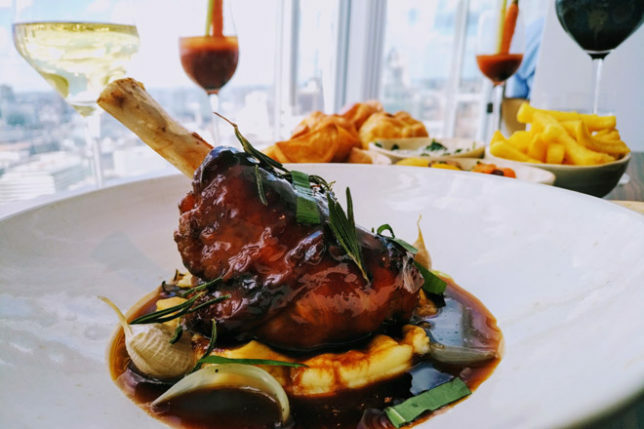 Oblix Sunday Roast in the Sky is the perfect way for friends and family to spend a lazy Sunday afternoon enjoying sumptuous food in a relaxed yet refined restaurant offering incredible views across London below. 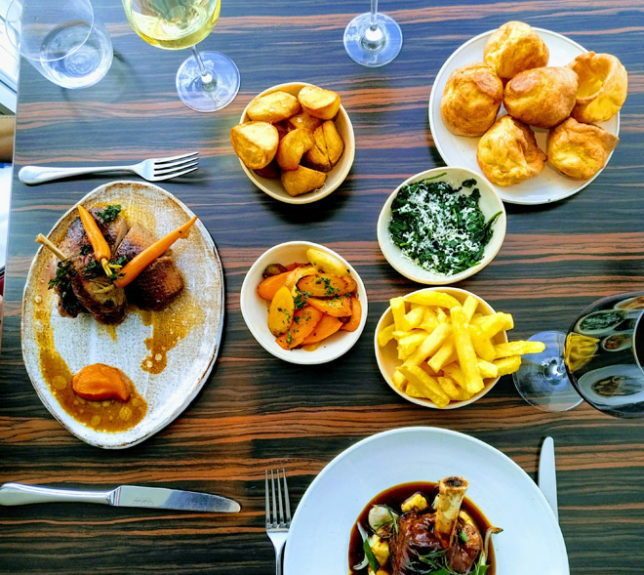 For those wanting to spend their Sunday in style, the Oblix Sunday Roast is available on Sundays from 12pm – 2.45pm in the Restaurant only. 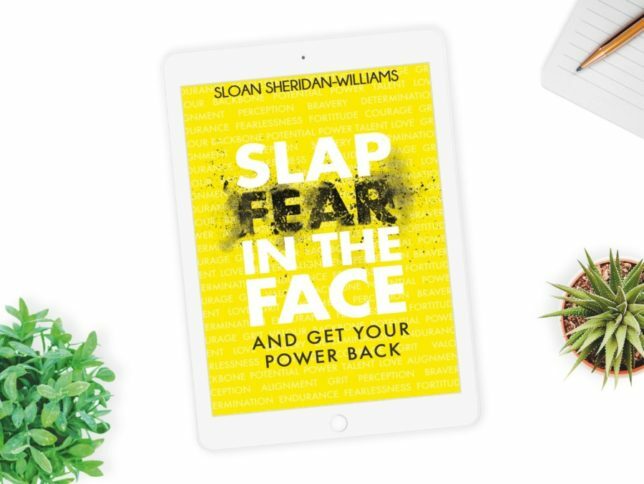 Prices start from £32.